- 30% Off Bundle: All AVSMedia products in one package! Multimedia editing can be an overwhelming task even for the pros. However, the new generation video editing applications, which are available in plenty, can make the job much easier. The AVS4YOU offers comprehensive solutions for all your multimedia requirements and its tools help you to rip, edit, convert multimedia files, author and burn BlueRays and DVDs, create ringtones, upload to mobile devices and much more. Making an outstanding video is much easy with AVS4YOU, even if you are not an expert; it provides everything you may need to create your own home movie masterpiece in no time, that too without breaking the bank. - AVS Video Editor: Make stunning movies from your video recordings and favorite music tracks with few simple drag and drops. Bring in a professional look with enhanced artistic video effects, filters, transitions, menus and audio. It also enables you to cut, trim, merge, split, rotate, stabilize shaky recordings, and add subtitles and text comments to your videos. 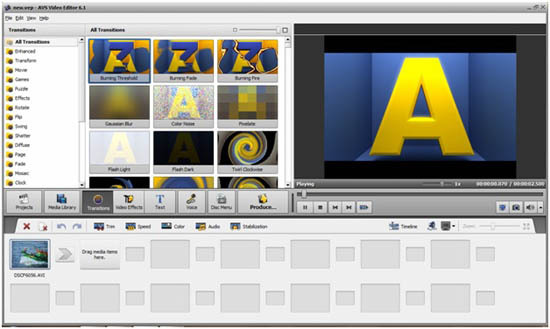 It supports all popular formats and you can create BlueRay discs or edit Blueray contents in AVS video editor. 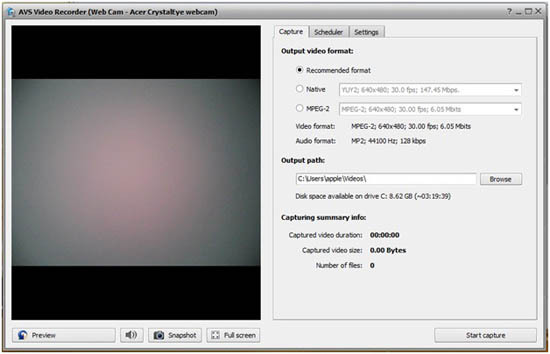 - AVS Video Recorder: With AVS video recorder, Recover your unforgettable videos from obsolete VHS videotapes or record videos directly from camcorders, webcams or any other video source into your HDD. 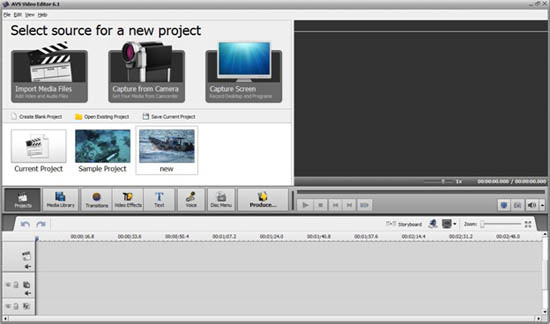 - AVS Video ReMaker: You can entirely reconstruct your existing movies with AVS Video ReMaker. It can be used to edit, split videos recorded using camcorders and video cameras into chapters and add menus without reconstruction. - AVS Media Player: An intuitive media player can play audio, video and slide files in a variety of formats. It supports multichannel surround sound and provides multilingual support. - AVS Audio Converter: This application makes it easy for you to manage different multimedia gadgets as you can convert your audio files into any compatible format instantly. 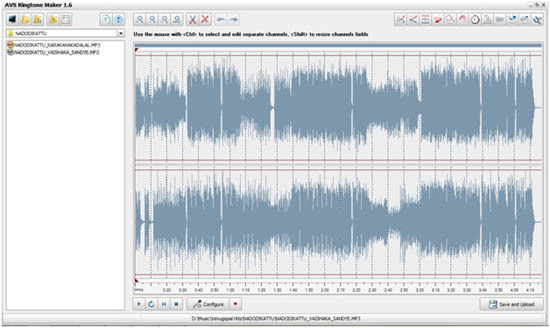 - AVS Audio Editor: You can edit, mix and blend many audio tracks to create a wonderful music of your choice. It features more than 20 built in filters and effects. It can extract audio from videos and you can save it in any popular audio format you wish. - AVS Ringtone Maker: The ringtone maker is another useful application especially for those who like to provide a customized touch to their mobile gadgets. You can create ringtones from your favorite audio tracks and export them easily into your phone. - AVS Audio Recorder: This application allows you to record audio from various sources and save them in a format that is compatible with your device. - AVS Disc Creator: With this application you can write any files in your hard drive to DVDs, BlueRay discs or any other optical media you may wish. - AVS Image Converter: It allows you to convert images between all key formats and you can upload or print the images with much ease. It allows batch conversion so that you can convert many images at a time. - AVS Photo Editor: With Photo editor, you can provide a new level of perfection to your images. It have all the tools and features to edit, improve, fix errors and apply effects to your images. - AVS Cover Editor: This application help you to design disc covers with custom images. It features many templates to make the task easy and fast. - AVS Registry Cleaner: This application can make your PC run faster. 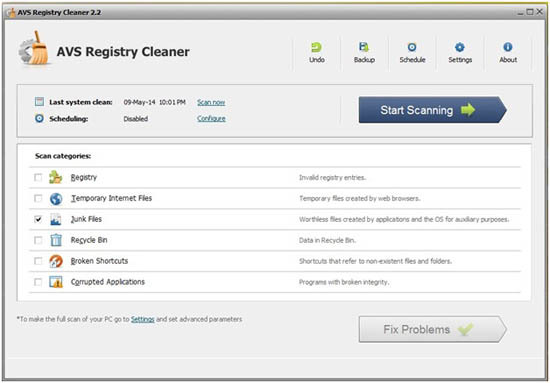 It scans, cleans and fixes errors in Windows registry. It also removes harmful items from the registry and clears temporary files, corrupted applications, and trash files. - AVS D DVD Copy: It is one of the best software to make your own DVD. It features multiple copy mode and fit to disc options so that you can make home DVDs with less effort. 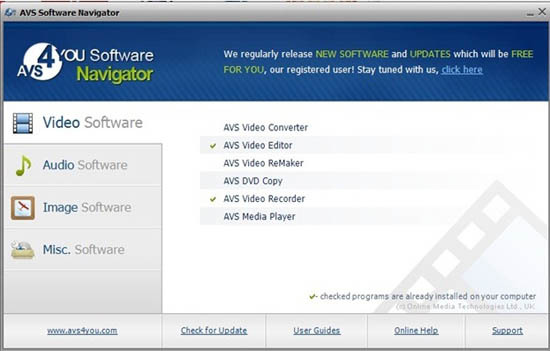 With AVS DVD Copy you can make 1:1 DVD copy with just two mouse clicks. All AVS software are available for download at the AVS4YOU website. You can download and activate them by purchasing the registration serial number that is available at an affordable cost. Registering on AVS4YOU is like purchasing one product and getting all other product from the company for free. Single purchase from AVS4YOU entitles you to download all other products and activate them without any additional payment. AVS4YOU offers you two types of subscription. You can either choose one-year subscription, which is available at affordable price or go for an unlimited subscription by paying little bit more. The unlimited subscription is always recommended as it gives you access to 18 Tools Suite + Free Upgrades + Free Support for the rest of your life. Pinnacle Studio 16 is powerful video editing software designed for professionals. It provides all the necessary tools for video postproduction and sharing on social media. When compared with Pinnacle Studio 16, AVS4YOU offers a multitude of diverse applications that can be used in a variety of situations. Also, AVS4YOU provide unlimited subscription, which is not available with any other multimedia editing applications. AVS4YOU provide the user with 18 useful tools at an unmatched price. The unlimited subscription makes it more attractive as it is not necessary to spent money for future upgrades and new versions. The remarkable tools and unlimited subscription makes AVS4YOU the best pick in the category.